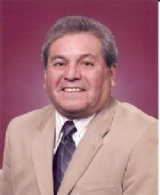 Hews Media Group-Community News has exclusively learned that Central Basin Municipal Water District (CB) Director James Roybal was served today with a Notice Of Intention (NOI) to Circulate Recall Petition. The NOI was signed by 20 voters residing in municipalities within Roybal’s District 1 and was served on Roybal at a morning committee meeting at CB’s headquarters in Commerce. What? About frickin’ time!! That jackass has polluted the water in my city for too long now. Everyone in Pico Rivera knows he’s a disgusting drunk who thinks he’s too good for others living in the community. He ran for school board once and was defeated and then we found out he’s been abusing children for years at LAUSD. I can’t wait to sign the recall petition and see this creep discarded from politics once and for all. I hope he moves out of Pico and goes back to Mexico.